Aqua Terra Jasper or Impression Jasper - pretty aqua blue (dyed) 10mm rounds, approx 20 beads per 8 inch strand. 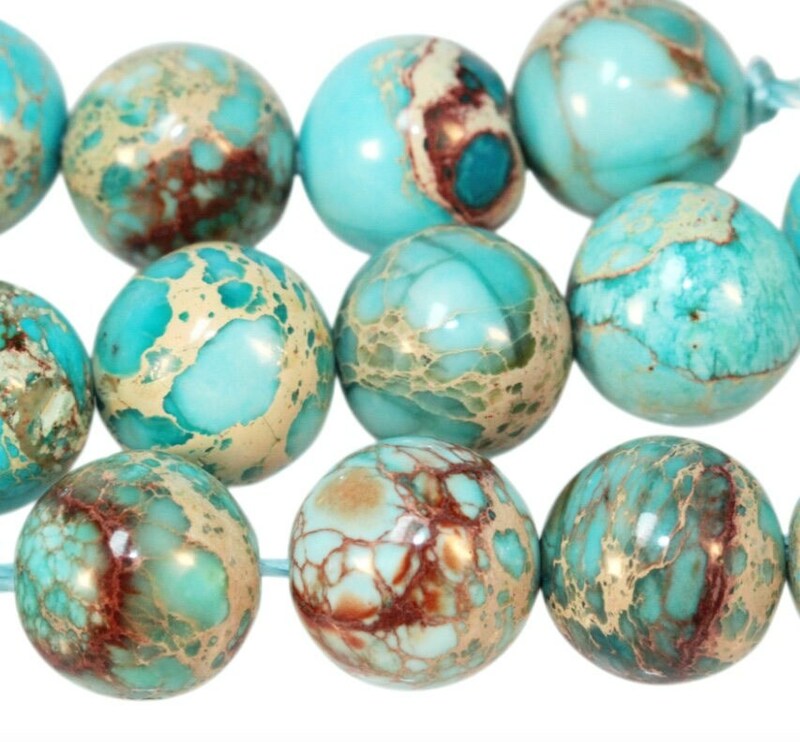 Aqua Impression Jasper is designed to imitate the color and patterns of Turquoise. It is a composite stone made by fusing stone fragments using heat, pressure and a stabilizing agent or resin. The stone fragments remain clearly visible, creating fascinating patterns.The stone used to create composite beads is usually the remnants from cutting, making them a great way to incorporate upcycled elements in designs. Origin: China.